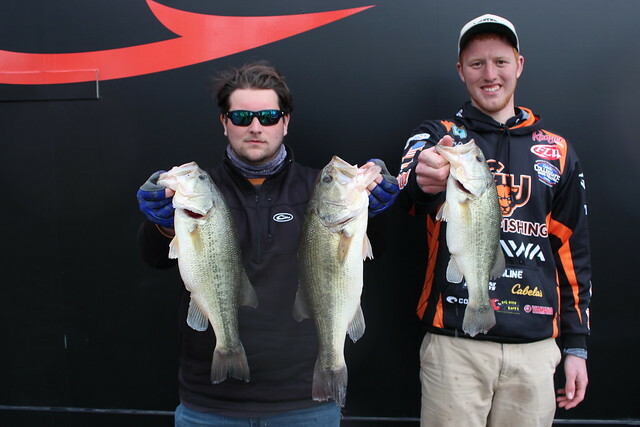 The Greenville University Bass fishing team got off to a fast and furious start this past week at Kentucky Lake. Greenville University sent a total of six boats to Kentucky Lake for the FLW College Open. 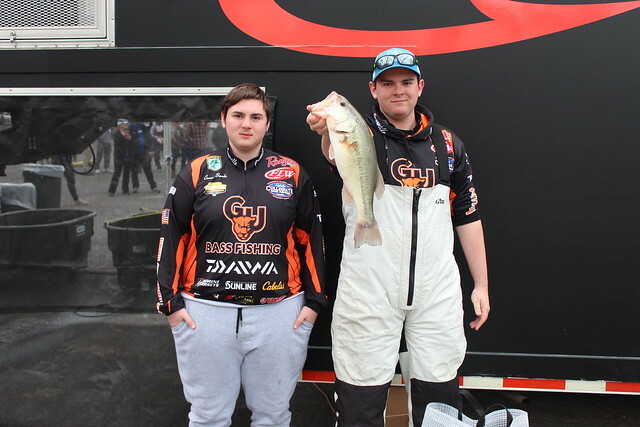 These boats included anglers Cale Jausel and Jordan Phillips, Ricky Huge and Nate Overocker, Chris Brooks and Connor Brooks, Cordell Beckmann and Quinten Brown, Adam Cook and Ryan Rakers, and finally Evan Seggerman and Hannah Hill. During this two day event, Greenville was able to have one boat finish in the top 20 and qualify for the 2020 FLW National Championship. Congratulations to Jausel and Phillips on this accomplishment. 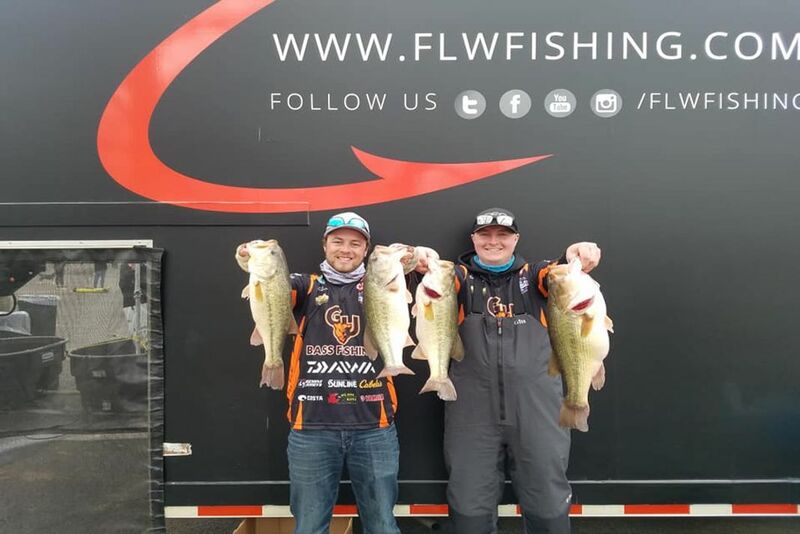 On day one of the event, Jausel and Phillips were able to bring in a whopping 21 pounds and seven ounces with five fish to put them in 13th place after the first day. The next up for Greenville was Beckmann and Brown. They had three fish for a total weight of 9 pounds and 8 ounces. After that was Seggerman and Hill who came in with three fish as well for 9 pounds and 6 ounces. Lastly was the boat of Chris and Connor Brooks, who came to the scales with one fish for 3 pounds and 3 ounces. Quinten Brown and Cordell Beckmann. The second day of the tournament, however, was cut short due to dangerous weather conditions. Because of that, all anglers had to be off the water by 12:45 PM. On that day, only one of Greenville’s boats weighed in fish. That boat was the boat of Jausel and Phillips. They weighed in one fish for 5 pounds and 13 ounces. That one fish was good enough to give them a twentieth place finish at a total weight of 27 pounds and 4 ounces. Q: What was it like to finish in the top 20 and be able to qualify for the national championship? A: It felt great being the 2nd Greenville team since we’ve had the team to qualify for a national championship. It is awesome but our work is not done. In this sport you can’t become content on doing well once or twice, you have to keep your mind focused on what is still needed to be done. I was a little disappointed with how day 2 went. We thought we had a good thing going and thought we could have kept the ball rolling on day 2 with a good limit like day one but we’re lucky enough to land a 6 pounder and it was enough to qualify. Q: How did you catch your fish during the tournament? A: We caught all of our fish except one on a ½ oz two-tap red eye shad in chili craw color. The key was the 2 tungsten rattles in the bait instead of a bunch of little rattles. This bait makes a significantly different sound in the water. We were targeting points and gravel banks with a creek or river channel running close to it. We thought that the fish were staging on these areas. We had to run and gun a little bit, catching a fish in one spot and running to another spot, catch one there, run back to our other spot over and over again allowing fish to reload on those key areas until we had a good bag. 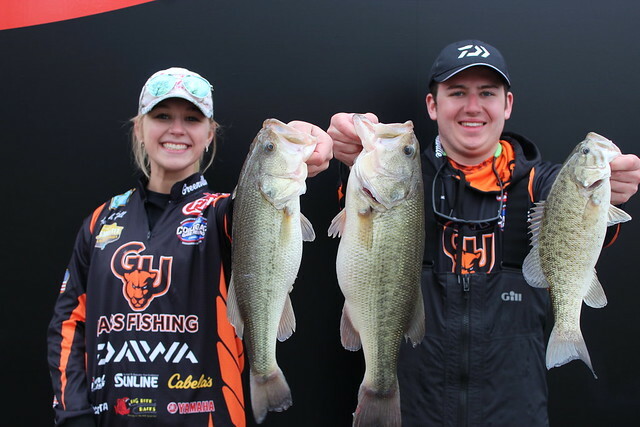 Be sure to keep following as the Greenville University Bass fishing team continues their season. I am a Junior at Greenville University. I am majoring in both Ministry and Sports Management. I play center midfield for Women's soccer program at Greenville. I am a student, athlete, but most importantly a daughter of God.